This illustration was made for Anil Seth's article posted on TED's editorial site. The article is an exert from his book. 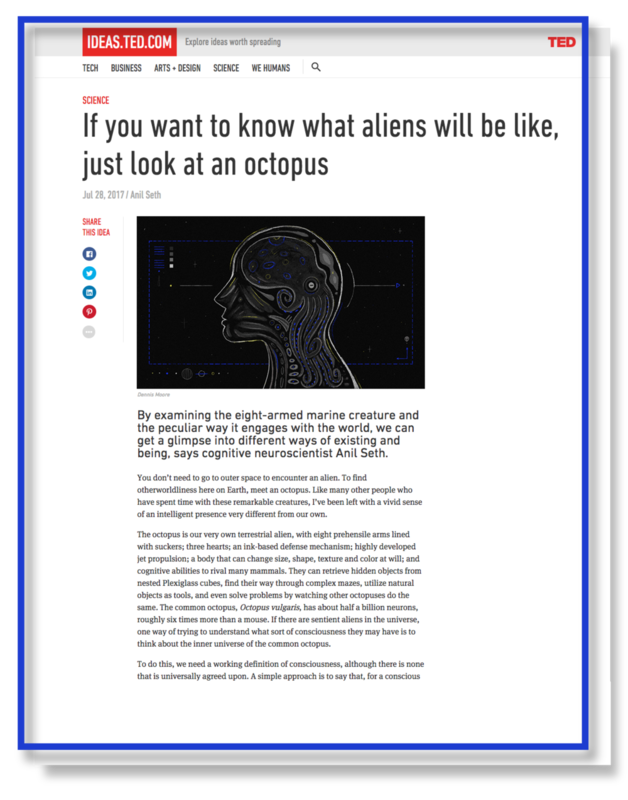 "Aliens on Earth: What Octopus Minds Can Tell Us about Alien Consciousness"